Improvement points There is no special hope, it is an indispensable item for operation in terms of accuracy and function. This review is about item#33139407. 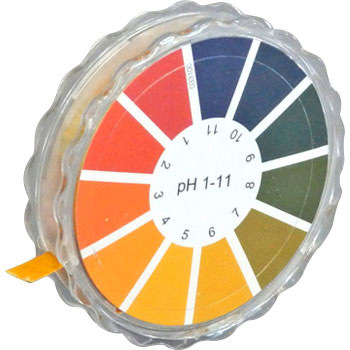 You can manage unused PH and manage it. This review is about item#33139434. I think that the value is not accurate. It was initially displayed as PH 4 or less (weakly acidic) in the aquarium, and I thought that there was no problem with water quality. After purchasing the PH meter, I measured it, it was PH 7.5. When measured with tap water, which was correct, the litmus paper was PH.6.4 and the pH meter was PH 7.1. I think the PH meter is correct. This review is about item#33139452. It is suitable for checking the pH of the region between neutral and the isoelectric point of the protein. The colorimetric range is divided into many, and it is easy to use. PH7 also measured PH4 but discoloration was the same. This review is about item#33139425.